Dust Pan Set is perfect for quick cleanups. 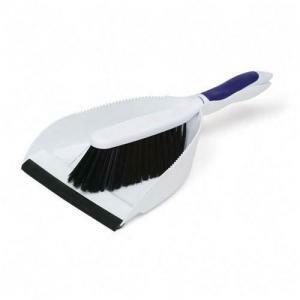 Included dust pan and hand sweep are made of heavy-duty plastic. Brush and handle lock together for storage. Pan has rubber edge for better pickup.